Being arrested is a frustrating and scary situation, and for good reason. No one should think getting in trouble with the law is fun. It can be emotional thinking about how you are going to get out of jail, when you will get out, how long you will be in jail, and what people are going to say about your arrest. There are probably very many things going through your head when you are sitting in the jail cell. Continue reading and learn some valuable advice about who you can turn to when you need to get bailed out of jail. 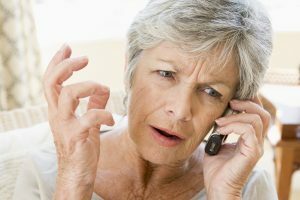 The first and most often used option is to make a call to home. Whether it’s your parents, husband, wife, boyfriend, or girlfriend, calling home is the first recommended plan of action. Usually, family is the number one source of trust when it comes to legal issues. Family can be the support group you need to get yourself out of a bad situation. Because of their relation, it is easy for them to call a bail bondsman and facilitate a release from jail for you. All you have to do is sit and wait for the paperwork to go through. When family isn’t available, or even an option, friends are the next best support group to call when arrested. Friends can sometimes relate to these similar troubles and can help without passing judgment. As long as they have the funds to pay the bail agency and are willing to co-sign for your release, they can facilitate your release from jail as well. If you fail to appear for your court dates and fail to complete your legal obligations, the bail agency can come after the co-signer for the remainder of the bond amount. This amount is usually in the thousands. When all else fails, or when you don’t have anyone’s phone number when you need it most, call on your local bail agency to facilitate your release from jail. They are professionals in the industry and can help you gain your own release by filing the paperwork and collecting your funds themselves. A bail agency usually charges 10-15% of the original bond amount. If your bond amount is $2500, then the bail bondsman will charge you at least $250 to get bailed out of jail. 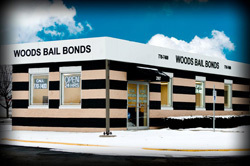 Call Woods Bail Bonds at 317-876-9600 for 24 hour bail bond services in Indiana. Owner and licensed bail bondsman, James Woods, provides bail bond services for nearly all cities and counties in Indiana. We offer several types of bail bonds and additional services, including federal bonds, state bonds, immigration bonds, probation violation bonds, arrest warrant bonds, notary services, jail pickup and drop off, and much more. Call 317-876-9600 to get out of jail in Indianapolis, IN and its surrounding areas. This entry was posted in Bail Bonds and tagged 24 hour bail bond services, arrest warrant bonds, bail bondsman, federal bonds, immigration bonds, Indianapolis bail bond company, probation violation bonds, state bonds. Bookmark the permalink.